Last night before bed, I watched a Louie Giglio sermon entitled “The Weight of Worship,” it was the first part of a series called “That We May.” Louie made a lot of great connections and comparisons in his message, but it would take me forever to even paraphrase them all into this blog post. So, I’ll let you go to the Passion City Church website and check out the message for yourself to get all of that good stuff! I’m instead going to skip right to the title of this post and expand on what Louie outlined in that same message. 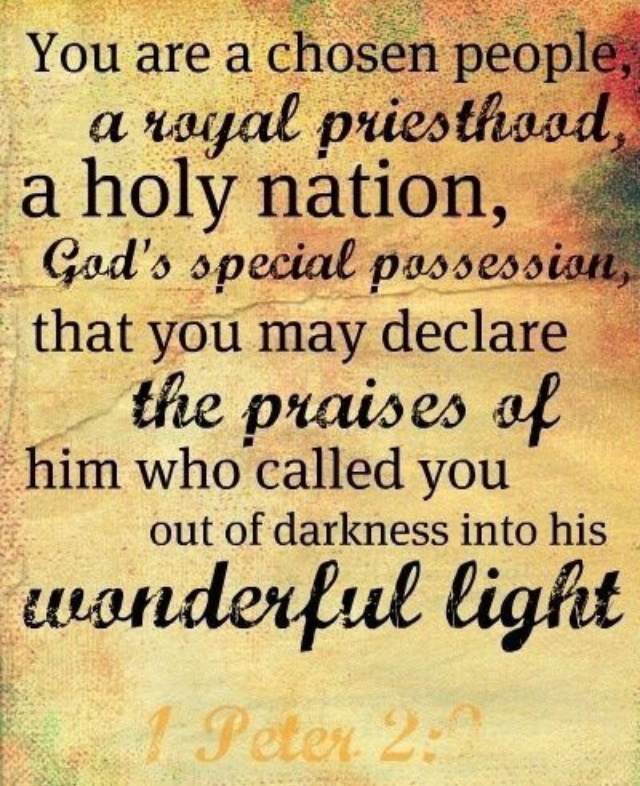 1 Peter 2:9 says “But you are a chosen people, a royal priesthood, a holy nation, God’s special possession, that you may declare the praises of Him who called you out of darkness into His wonderful light.” The key phrase in that verse is “that you may.” God doesn’t need anything from us, He sent His son to earth to serve us, not to be served by us. Louie used this verse in his message to basically say that it’s a privilage to be people for God, to be His possession. He’s not embarrassed by our sinful tendencies, He’ll always claim us as His children. Look at it this way: A religious lifestyle tells us that we “should,” “ought to,” or “can” do something. A relationship with Jesus is a “that we may” attitude. The only thing Jesus wants from us is our affection, and even that He doesn’t NEED to give His away. We don’t HAVE to sing His praises, it’s not that we “ought” to spend time alone with Him in prayer, He’s going to love us whether we do or not. It’s the idea that we may spend time with Him and spread the good news of the Gospel to others. I wrapped my notes up with “you don’t have to, but you may,” and that’s the mindset I’m going to live by from now on. It’s a privilage to be in a relationship and be unconditionally loved by the Creator of the universe, not a list of daunting religious rules and guidelines.